Could it be the swishing of approaching wheels racing through the early morning landscape, or the happy sounds of children as they congregate to welcome the champions? 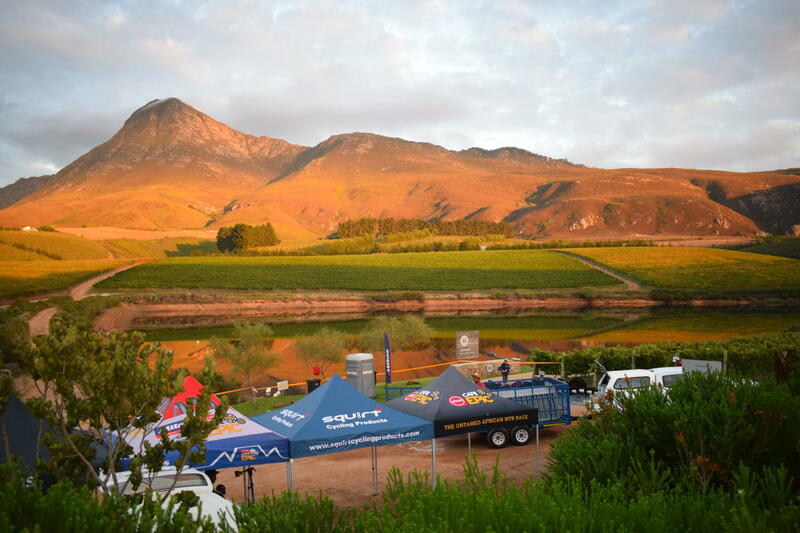 Indeed, adding to the excitement of the harvest is the exhilaration of Creation hosting the first spectator and water point on Stage One of the 2019 Absa Cape Epic. Starting and finishing in the seaside village of Hermanus, the first stage took the cyclists along a route dubbed ‘Heaven and Back to Earth’, which covering 112 km and climbing an altitude of 2 700 m, is the toughest stage of the 7-day race. “To be part of this epic adventure is an opportunity we treasure,” says Creation’s Carolyn Martin. With the riders all looking in good shape and the Hemel-en-Aarde smiling upon them with ideal weather conditions, it was pure pleasure to see spectators cheering on their friends and loved ones. The children from the local Pebbles Education Project were probably the greatest fans, adding to the festive atmosphere with tinkling cowbells and yellow flags while proudly flaunting the Pebbles logo in the shape of a huge yellow hand.